This Ferrari sets the record of the highest automobile ever sold at auction, anywhere. It was estimated to go over $60,000,000 but it seems the only other bidder backed out. It was a most interesting and drawn out no reserve bidding where bids were for a time were increasing at rather small increments between a phone bidder and a bidder on the floor. The bidding went on for a while and was a real show. This was certainly a main event of this years Monterey auctions. The Ferrari 250 GT 'Omologato' needs little introduction as the most iconic, most habitable, street-useable, race-winning, World Championship-winning – and simply gorgeous – closed two-seat Coupe car from the world-famous Maranello factory. The GTO was developed to contest the 1962 3-litre class FIA GT World Championship series of classical endurance racing events. Selective production at Maranello and in the Scaglietti body plant in Modena ran on through the 1963 FIA GT World Championship and – sure enough – the Ferrari 250 GTO won the World title both seasons in succession. 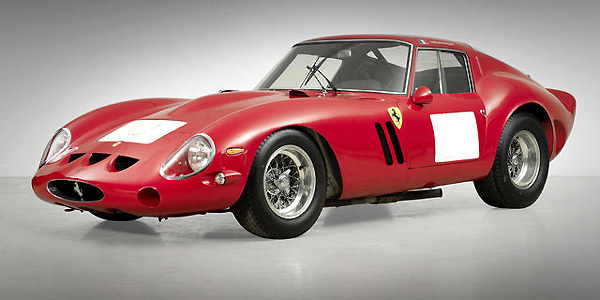 Overall, the Ferrari factory manufactured 39 cars which may be considered within the rarefied 'GTO' family. Four of the core group of 35 cars with 1962-63 style bodywork were later converted into lower, flatter, longer-nosed GTO/64 body form. So 31 of the 250GTO/62-63 series have survived, of which only 28 cars have the 3-litre V12 engine as true '250'GTOs, and three 4-litre V12 engines as '330'GTOs. Here we offer the 17th of the 3-litre true 250GTOs, first completed and campaigned right at the end of the 1962 International race season, and then as rebuilt fresh and ready for a new ownership, and a resumed career, in 1963.